It is that time of year when the bounty of fresh off the vine tomatoes are way too good to pass up. But who can eat so many tomatoes? Well, I have been looking for new recipes to try that use tomatoes in ways that I would not ordinarily do. I have long been intrigue by the idea of fried green tomatoes (and not just from the movie) which is why I am going to try this recipe for Fried Green Tomatoes with Buttermilk-Feta Dressing I found from Southern Living magazine. 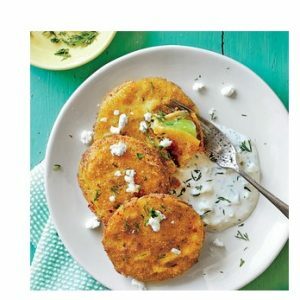 Find the recipe for Fried Green Tomatoes with Buttermilk-Feta Dressing from Sothern Living. Find all the great recipes and other features of Southern Living here. 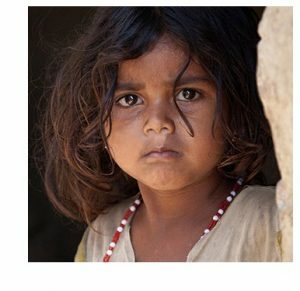 As long as there are children suffering in the world there will be a need to support organizations like Save the Children. Learn more about Save the Children and how you can support their important work here. Have you ever wanted something special to keep your swimsuit in on the way to or from the beach? Neither have I. 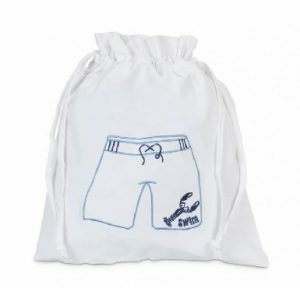 But now that I found the Swim Trunks Spring 15 Bag from the fine folks at Swoozies, I really need one. Find the Swim Trunks Spring 15 Bag from Swoozies here. See all cool products from Swoozies here. I have featured several enamel mugs in the past, I can’t help it, I love the things. But I really like the Old Bay Latte Mug I found from the fine folks at Log Cabin Crafts. 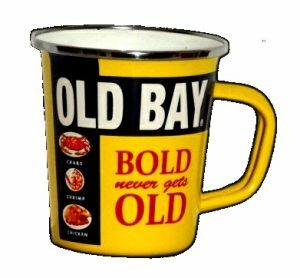 Find the Old Bay Latte Mug from Log Cabin Crafts here. See all the perfect items for you cabin from Log Cabin Crafts here. I love all manner of tomato soups, but the Green Tomato Soup I found from the fine folks at Low Country Produce is really something special. 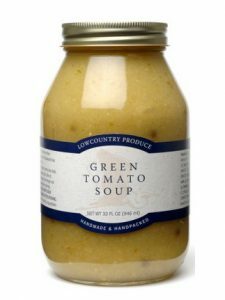 Find the Green Tomato Soup from Low Country Produce here. See all the great products from Low Country Produce here. If you know someone who is into the adult coloring craze and just so happens to like succulents (plants) then you will be thrilled to find the newly released Sensational Succulents: An Adult Coloring Book of Amazing Shapes and Magical Patterns by Debra Lee Baldwin (Author), Laura Serra (Illustrator). When you buy this book as a gift for said person and they shower you with praise – just remember who told you about it first. 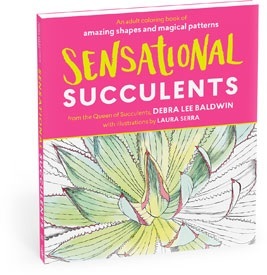 Sensational Succulents by Debra Lee Baldwin and Laura Serra is available from Amazon and other fine booksellers. Here is a perfect find for Lost Cowboy, the American Prairie Bourbon from the fine folks at High West Distillery, who donate part of their profits to help protect the American Prairie Reserve in northeastern Montana. Find more about High West’s American Prairie Bourbon here. Learn more about High West Distillery and their efforts to save the prairie here. 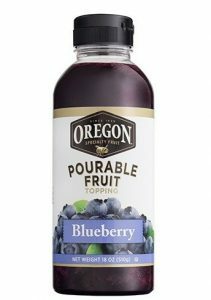 Fresh fruit is always the best, but sometimes it is hard to find it, which makes products like the Pourable Fruit from the fine folks at Oregon Specialty Fruit – which allows you to have a splash of fruit pretty much whenever you want it. This fine fruit product comes in raspberry, strawberry and my choice, blueberry, which make a nice summer drink when mixed with ice cold seltzer. Find the Pourable Fruit from Oregon Specialty Fruit here. Check all the great fruity products from Oregon Specialty Fruit here. Volunteer service is a great way to give back, and for many professionals, joining the board of a local nonprofit is a good way to share your talents and time with organizations that need it. 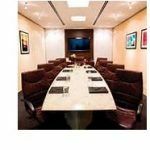 The fine folks at BoardnetUSA are dedicated to matching leaders looking to join boards with the nonprofits that need the help. Learn more about BoardnetUSA and find a good match for you here. Just in time for your seasonal cooking, the fine folks at Urbani Truffles have rolled out their Summer Truffles. Find the Summer Truffles from Urbani Truffles here. 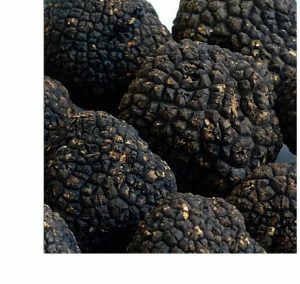 Learn more about all the products from Urbani Truffles here. If you want some truffle in your life but the real thing costs too much or is just a pain – you can get your fix with the Black Truffle Salt from Abe’s Market I found from the fine folks at Abe’s Market. 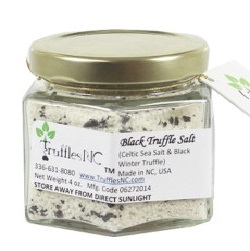 Find the Black Truffle Salt from Abe’s Market here. 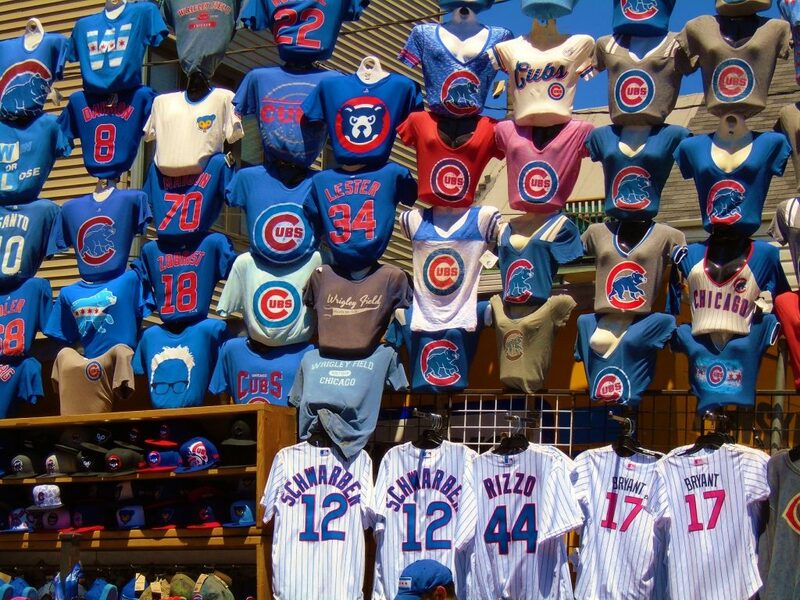 See all the great “natural for the people” products from Abe’s Market here. Lost Cowboy is powered by	WordPress 5.0.4 and delivered to you in 1.496 seconds using 58 queries.